A short text aimed at giving boys and girls the opportunity to step into the path through a very simple base of the teaching. 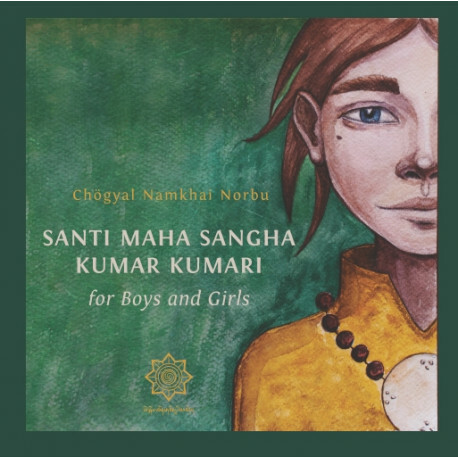 In response to requests by children from the Dzogchen Community, in August 1994 Chögyal Namkhai Norbu wrote two short texts related to the Santi Maha Sangha training program for boys (kumar) and girls (kumari). The first text contains the root verses of the three-level Santi Maha Sangha Kumar-Kumari program, describing the view, meditation, and attitude on each of these levels. The second text, Opening the Eye of Wisdom, explains the preliminary Base Level training, using stories and suitable examples to illustrate the significance of the view, meditation, and attitude of the Base. It is meant to be studied by the child together with an adult practitioner providing guidance and clarification.